I started my computer networking career by supporting SOHO products mainly Linksys wireless products. I was assigned to a networking division which handled mainly Linksys wireless router. There I assisted clients to implement Linksys wireless routers in their already existing networks or to start a new network with them. I wrote many articles to set up various models of Linksys wireless routers and I think it will be useful if I join all of the guides in a single post. Later in my career, Cisco bought Linksys and it becomes Linksys Cisco. With the guidance of Cisco, they introduced many high-quality products in market. Most of the Linksys wireless router's have similar kind of configuration steps but some models have a different procedure. Here in this tutorial, we can see a common setup guide for most of the models. Make sure your computer is online with ISP Modem. Connect your PC directly to the modem and check if you can go online. If you cannot go online with the modem, call your ISP. We should check whether you are using DSL connection or Cable Internet connection. Configuration steps of Linksys router for DSL and Cable Internet are different. If you are not a techie to check the Internet connection type, I recommend you to contact your ISP customer support and verify your Internet connection type. Now you should check the IP address of the modem. To do this please follow steps in one of my previous article. You should note the Modem IP address because we need this information while configuring Linksys router. Here we are not using setup CD or Cisco Connect software to configure Linksys Router. To log in, follow the steps below. 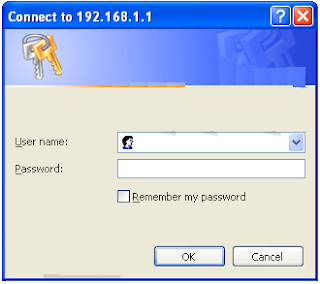 Usually, there is no user name for the Linksys router and the password is the admin. Then press the Enter key to log in. If the modem IP address is 192.168.1.1, we should change Linksys router IP address to 192.168.2.1. If the modem IP address is something else, you should not change the IP address of Links Router. 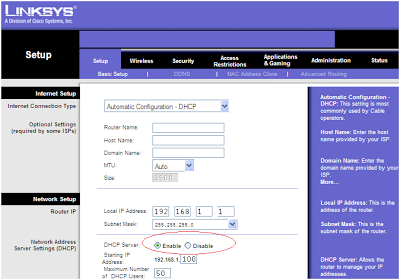 Make sure DHCP is enabled. After this, you should click on the Save Settings button. To know more about how to configure it for cable Internet connection click on the link below. If you have DSL Internet connection click on the link below for more steps. Simple to understand. Thanks for your guide. Thanks for such detailed Linksys setup guide. Hi sir, Do you have linksys router setup disc? I badly need setup CD. Hi Siju can you tell me how to setup linksys router with comcast connection ? Thanks for this helpful set up guide !!! Is this model of linksys router has Access Point feature ? I mean can I do wireless cascading with two linksys wireless routers ? According to Linksys, wireless cascading between two Linksys wireless routers is not possible. However, there are some third party firmwares which do the job. hey everyone please do not buy linksys routers. It has no quality and their technical support is poor. I bought a brand new Linksys router and kept in my room for one month. After that I contacted the Linksys support for how to setup these thing because i am not a techy like you guys.They asked me to pay for their service first. I told them I already paid for their product but they said if I don't pay they won't help me to fix. Can we make the Backup/Restore from the linksys WAP54G router? Yes, You can take backup. Click on Administration and under this you can see Backup and Restore. But when i hit Backup button it asks from the Username and Password. Why? Here Linksys asks for authentication before you start taking backup. You need to enter user name and password to proceed.